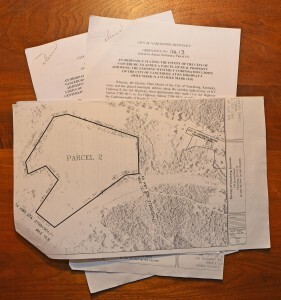 Vanceburg City Council will meet in regular session Monday, February 4, with members set to hear the second reading of proposed ordinances that would annex more than 80 acres into the city, including the Lewis County High School Campus and other properties on Lions Lane. The Lewis County Board of Education and Lewis County Fiscal Court have officially voiced their opposition to the proposed annexation for their respective properties. Online subscribers may access PDFs of the proposed ordinances and maps below . . .